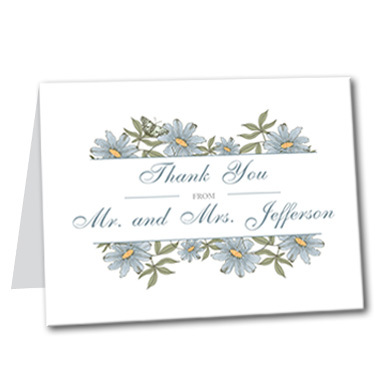 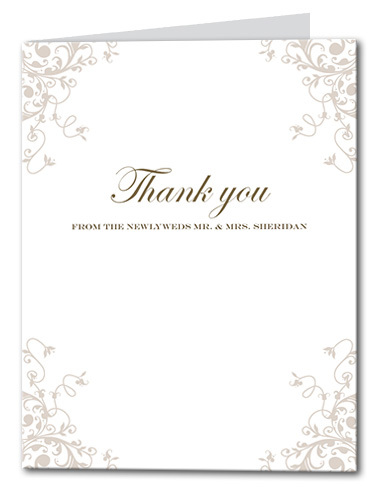 Once you've said "I do," don't forget to send your thank you cards. 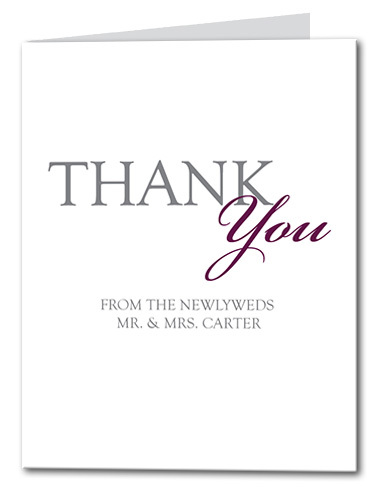 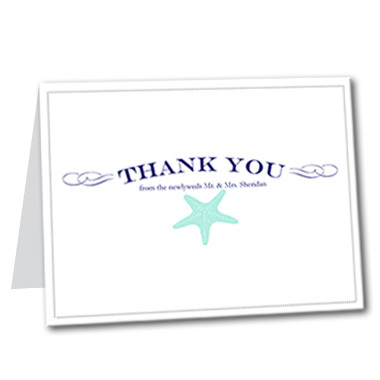 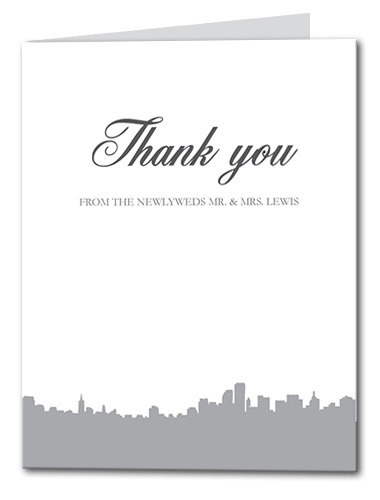 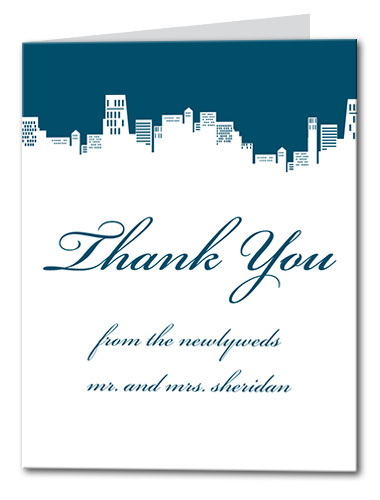 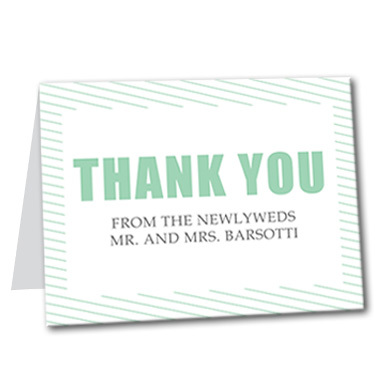 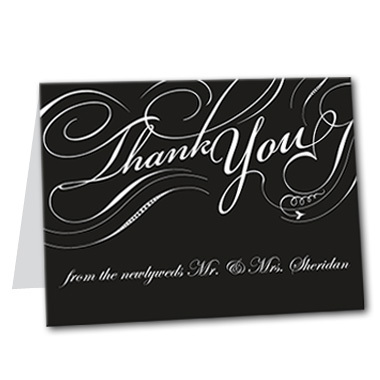 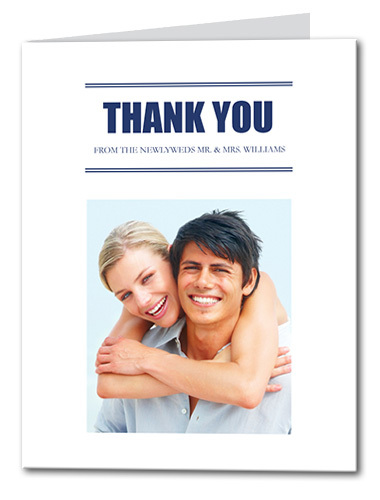 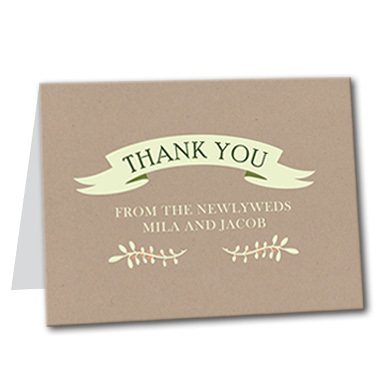 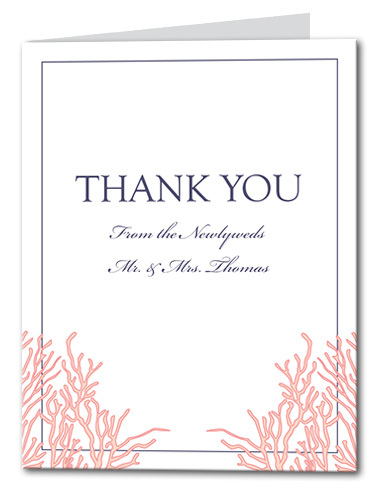 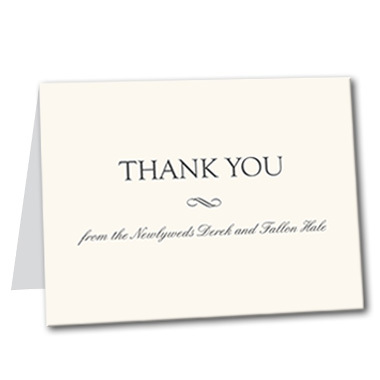 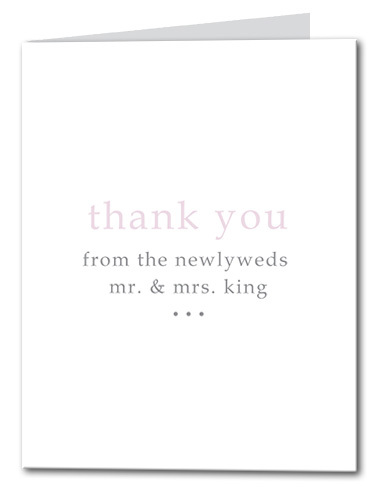 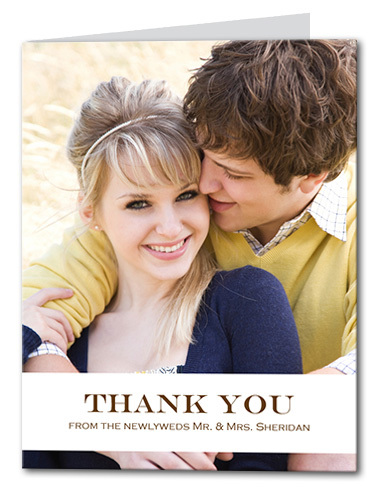 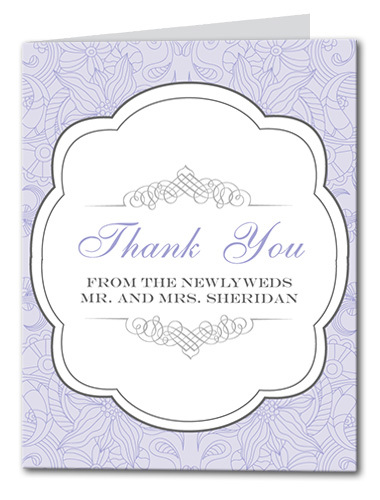 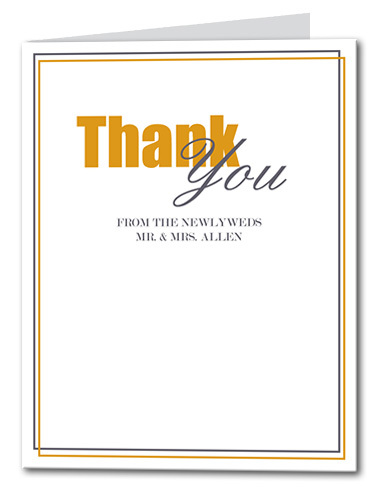 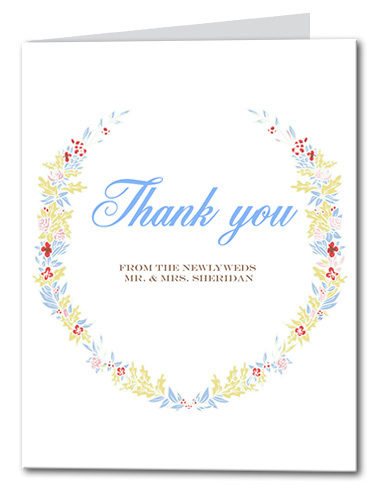 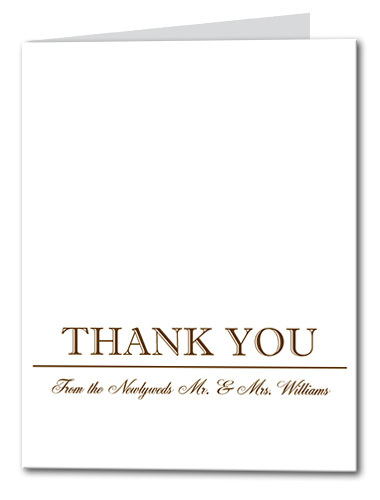 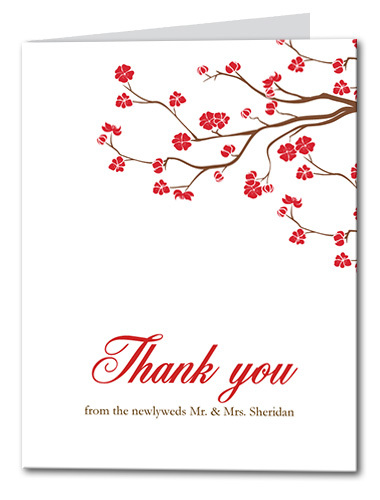 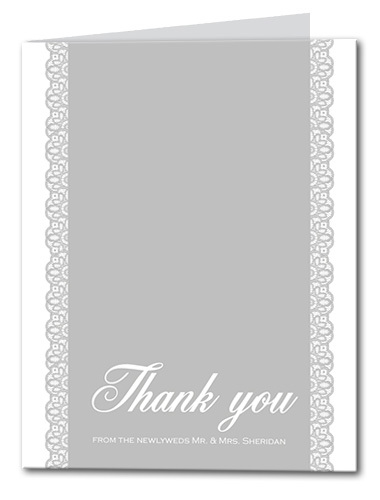 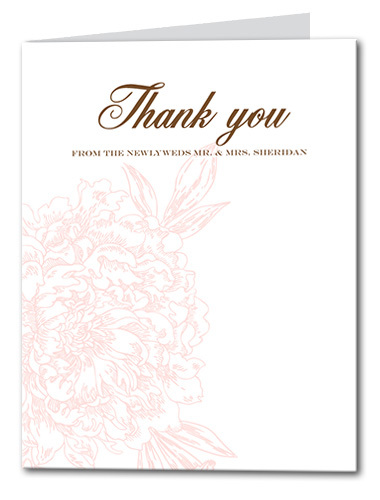 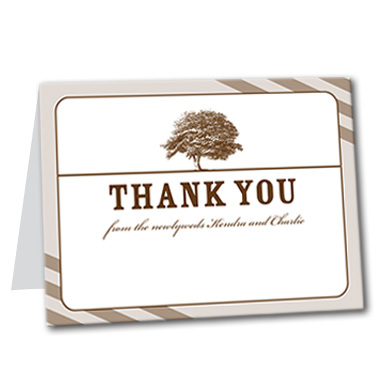 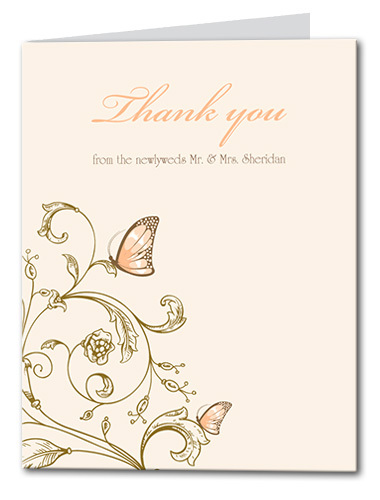 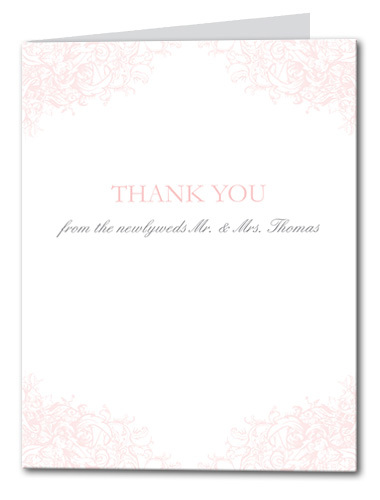 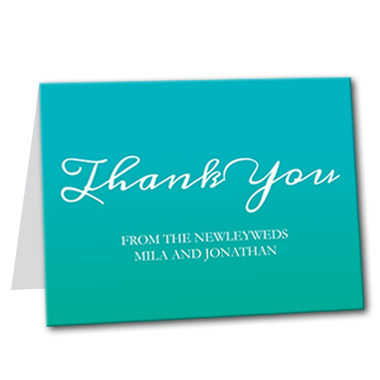 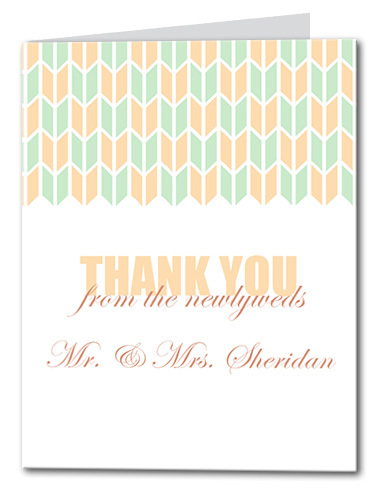 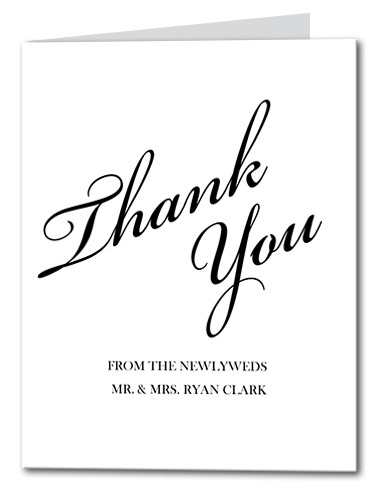 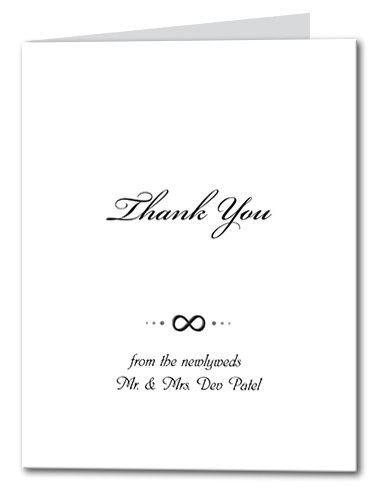 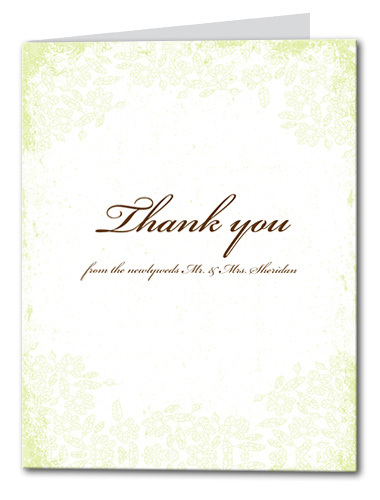 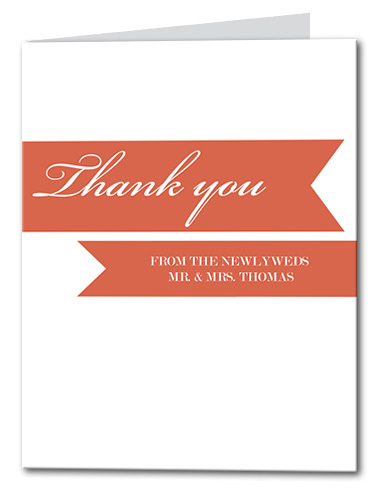 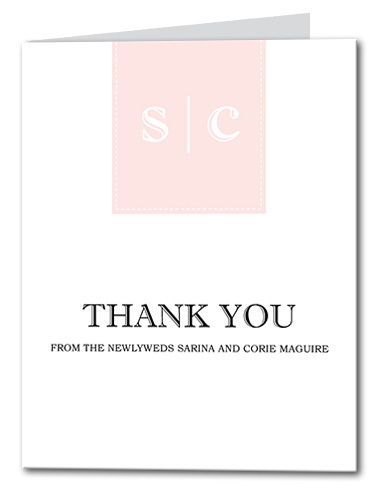 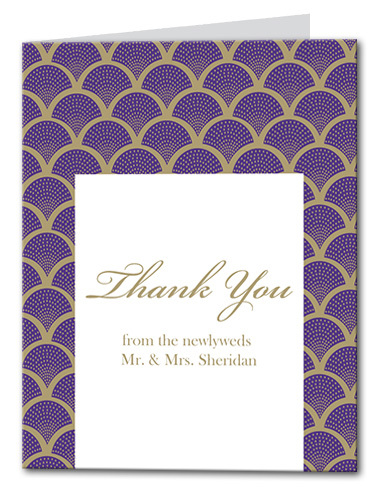 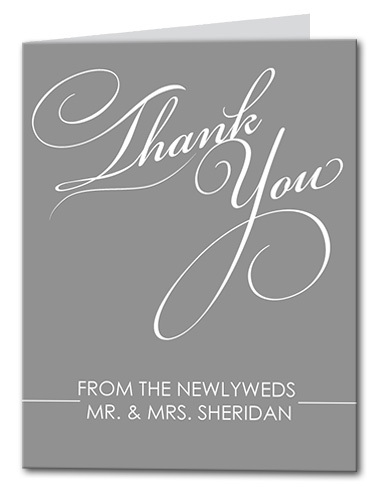 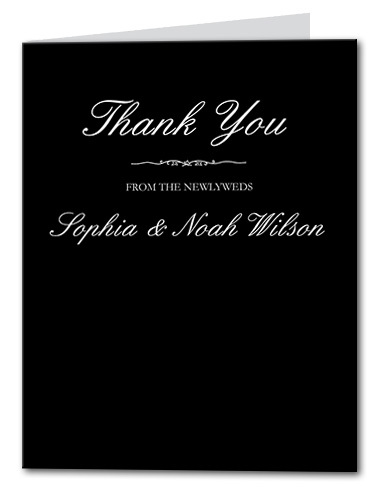 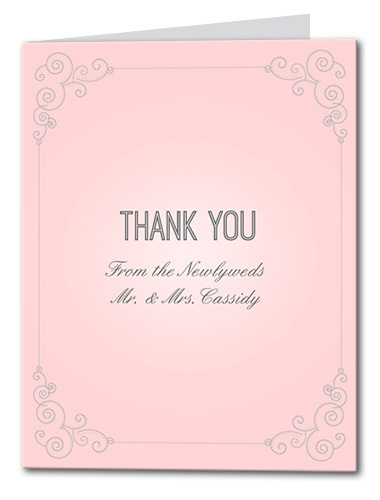 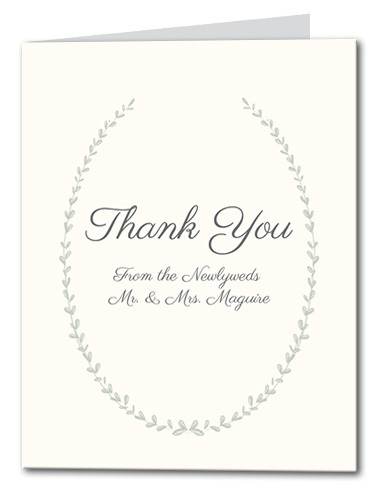 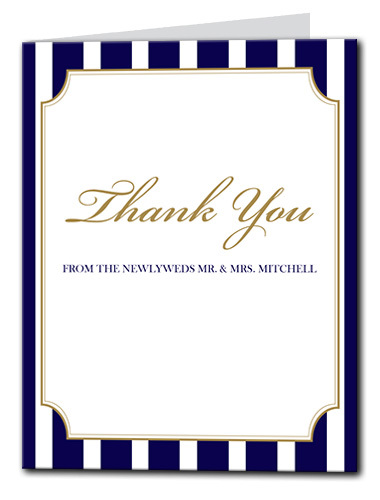 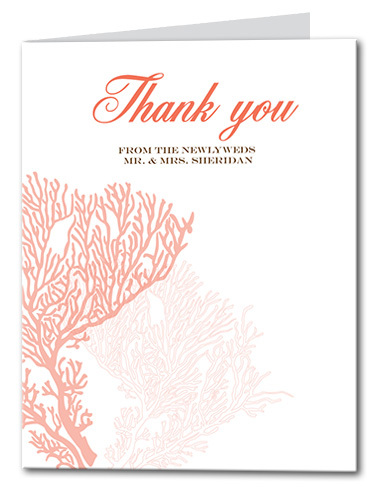 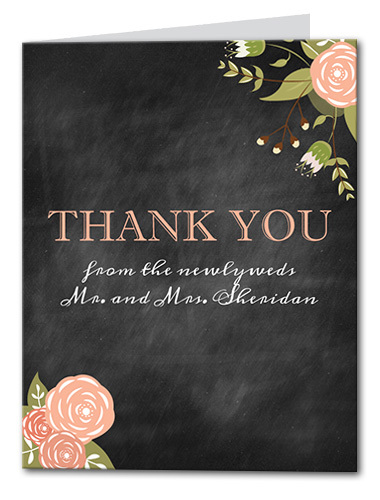 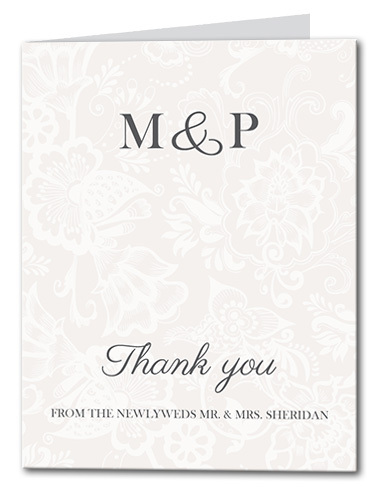 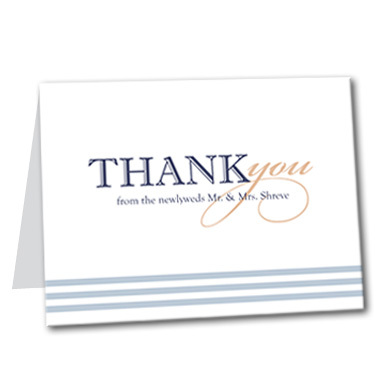 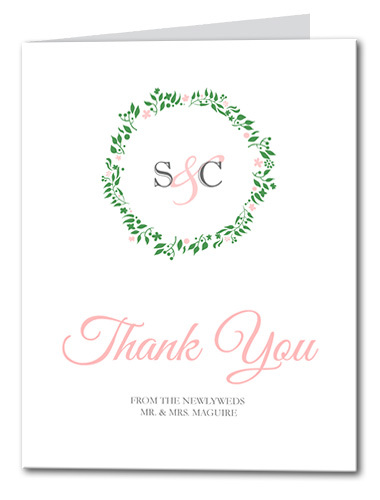 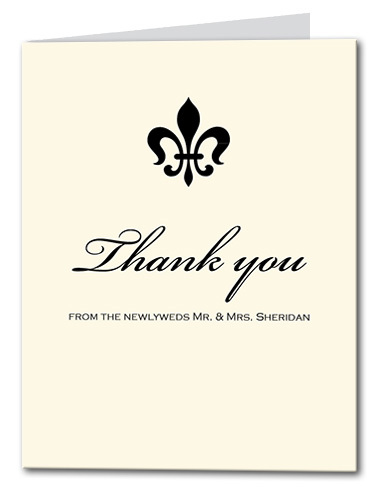 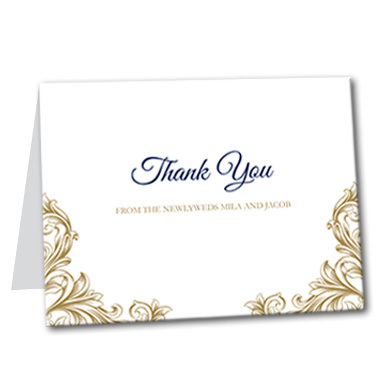 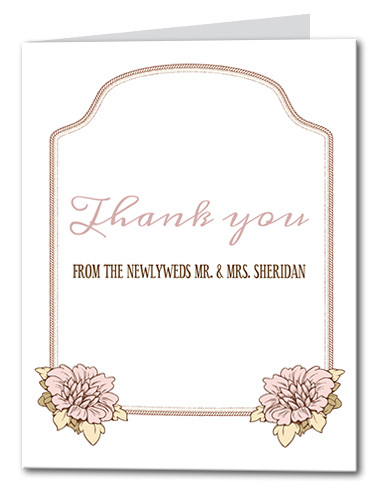 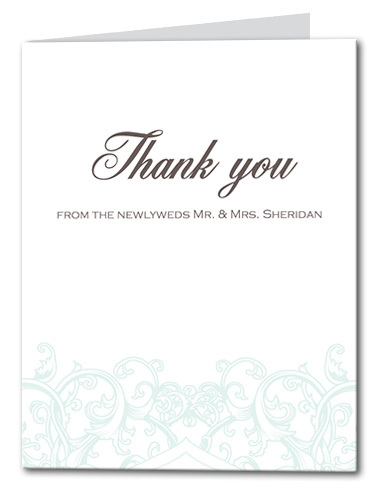 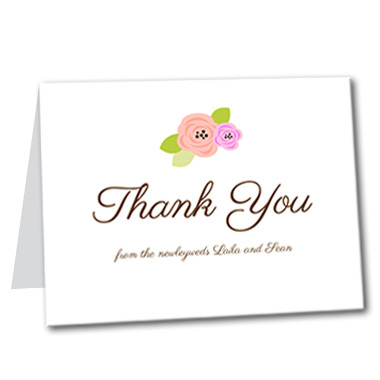 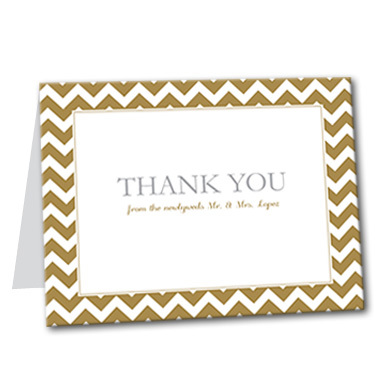 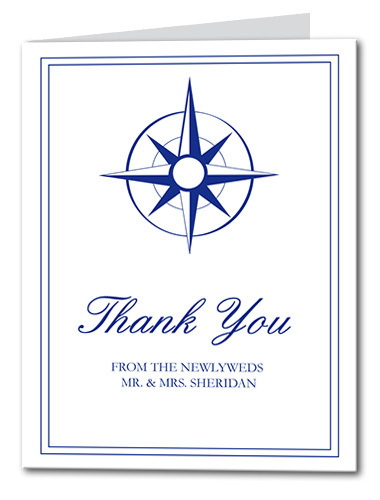 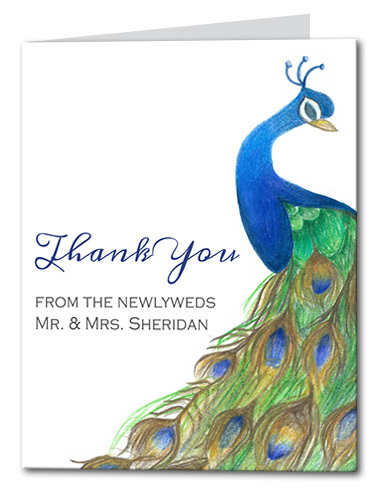 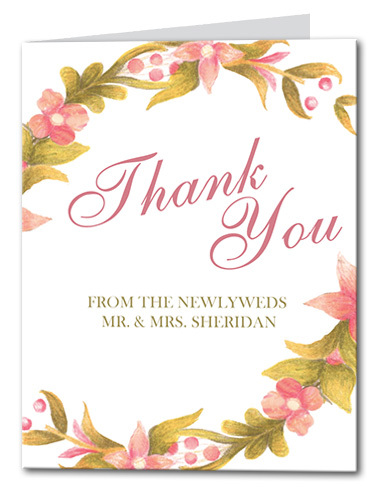 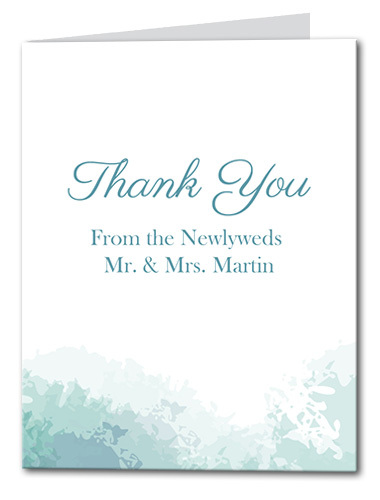 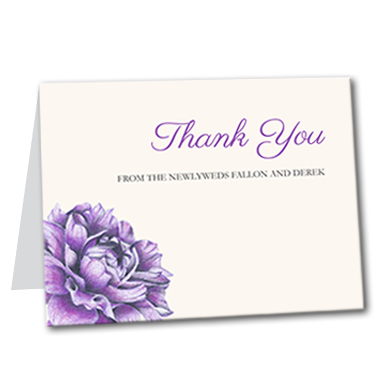 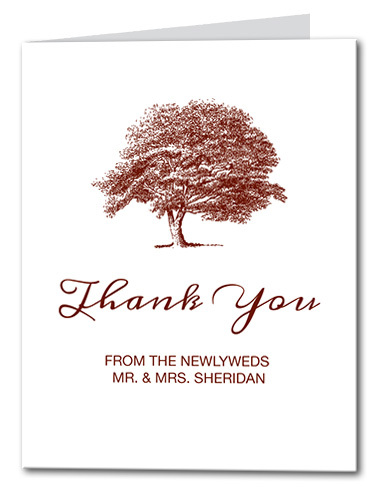 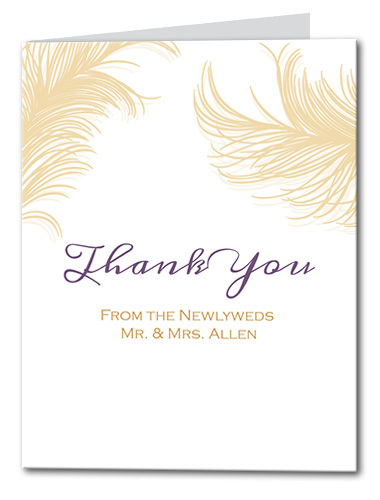 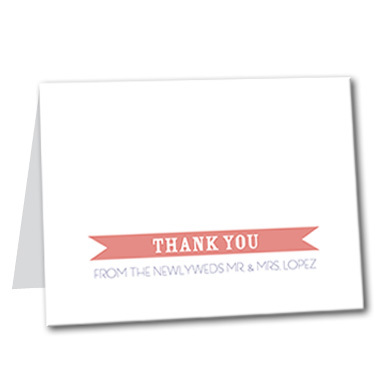 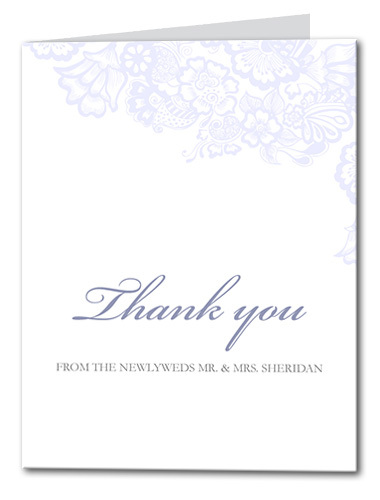 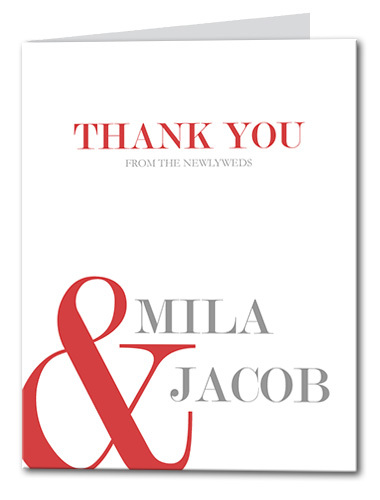 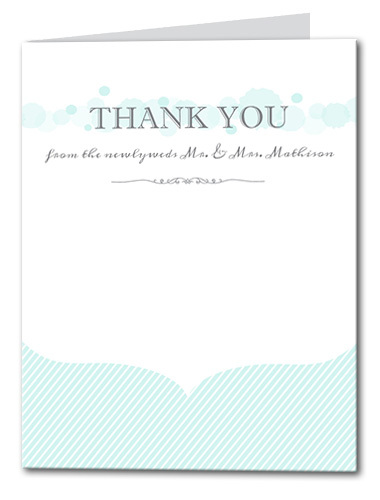 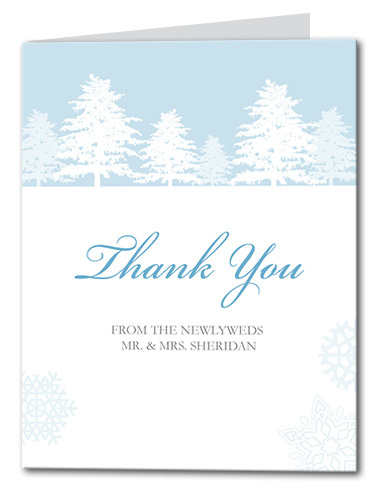 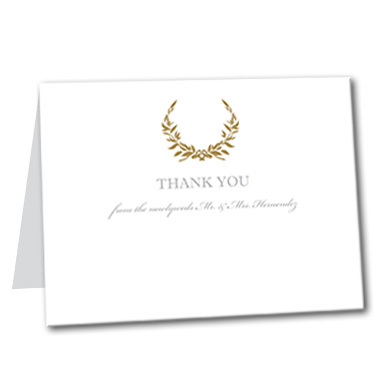 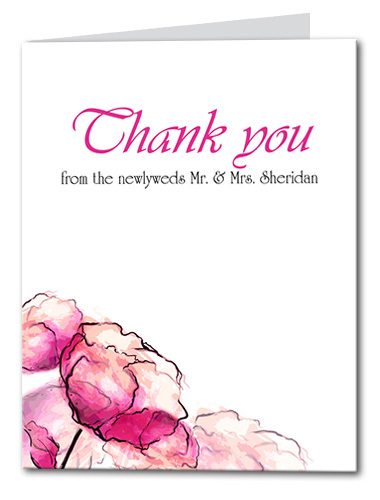 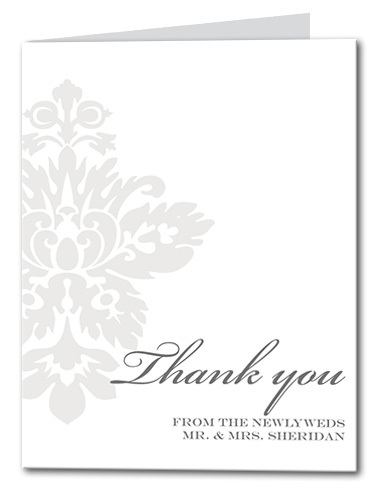 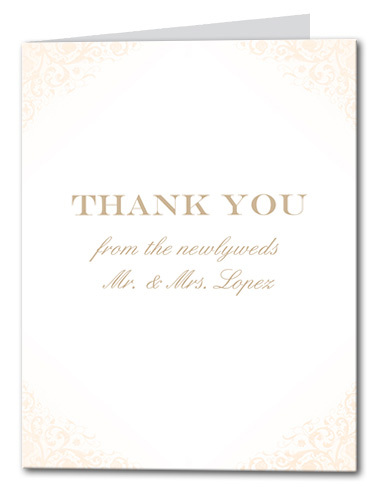 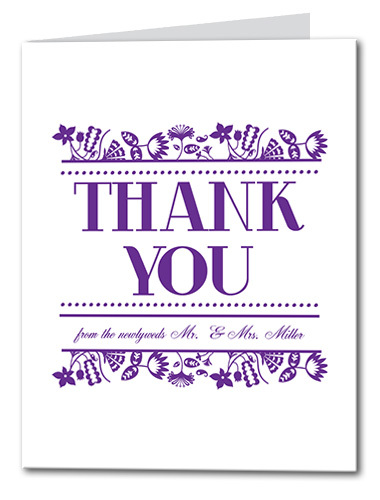 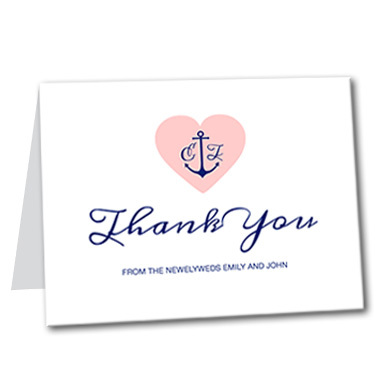 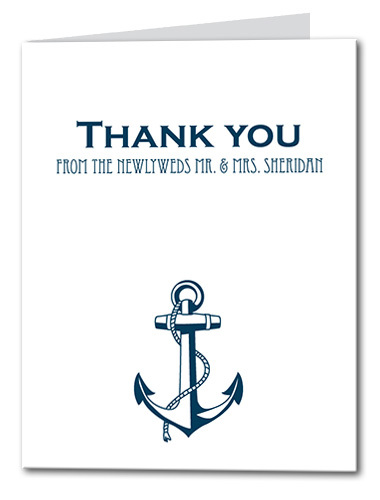 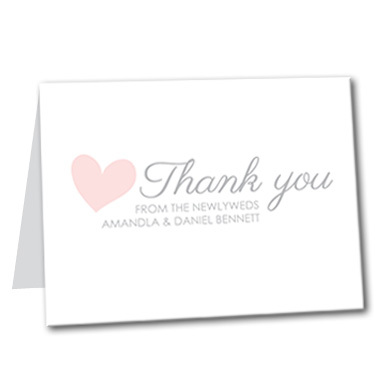 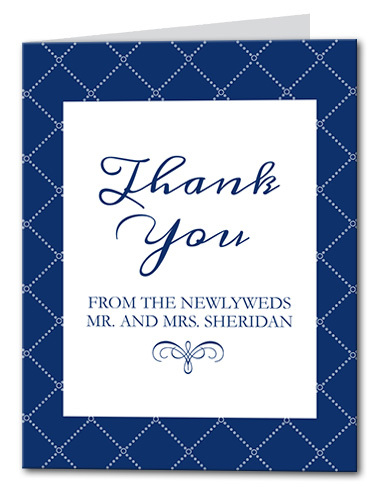 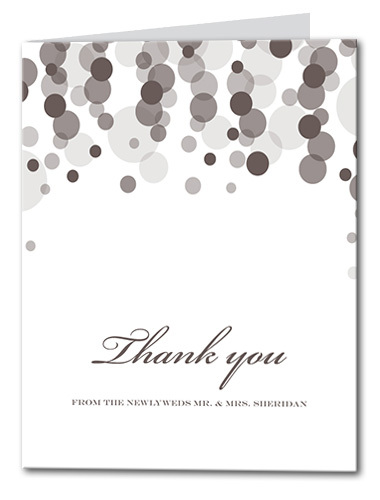 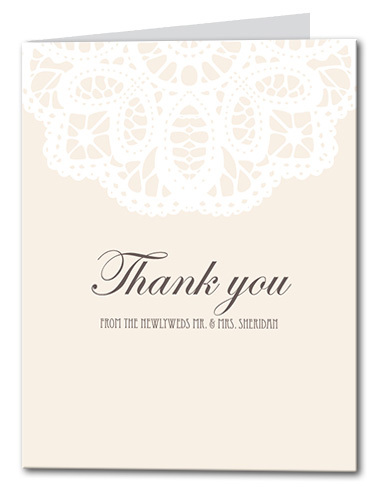 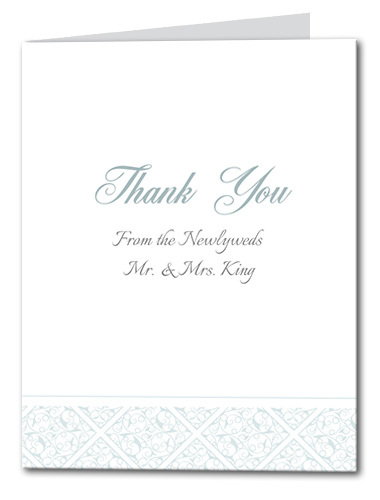 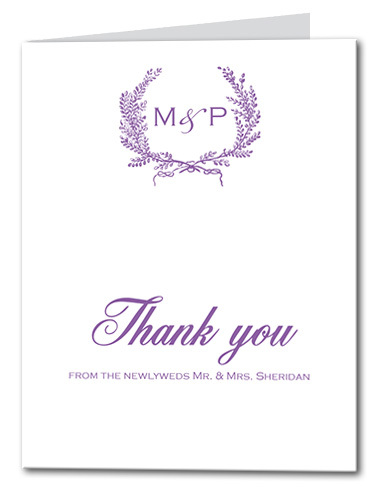 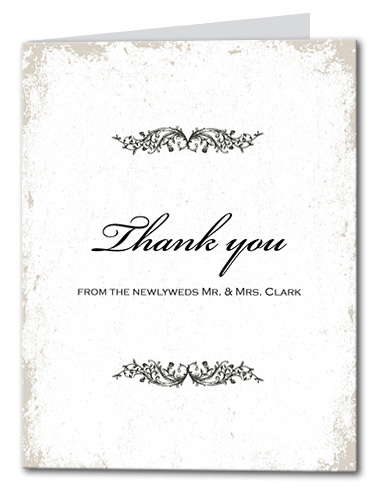 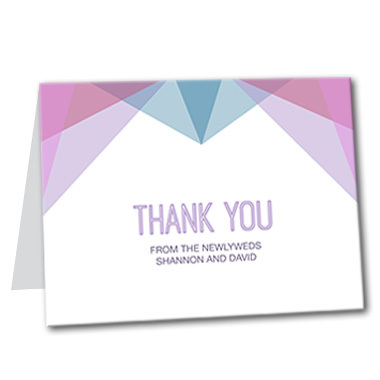 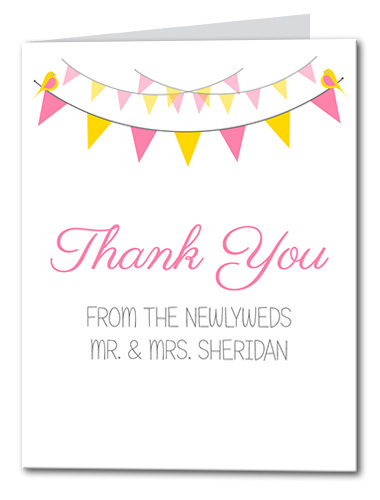 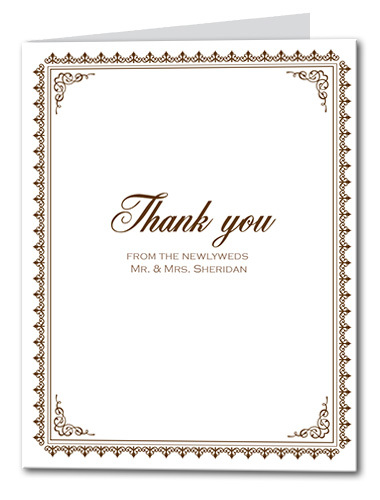 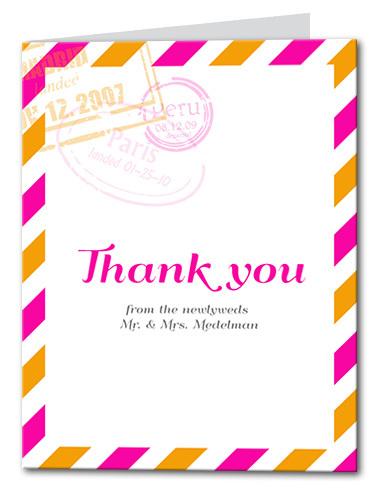 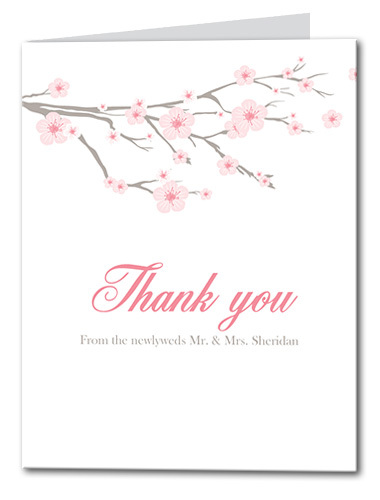 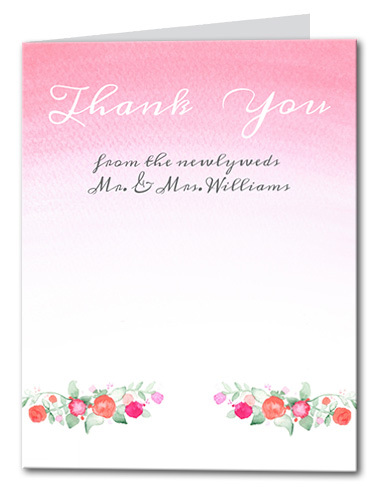 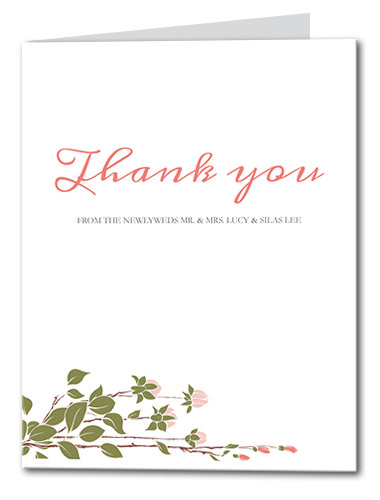 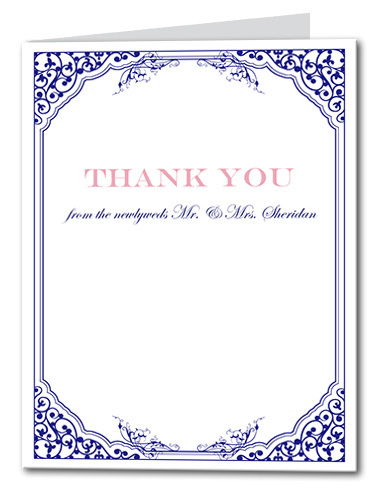 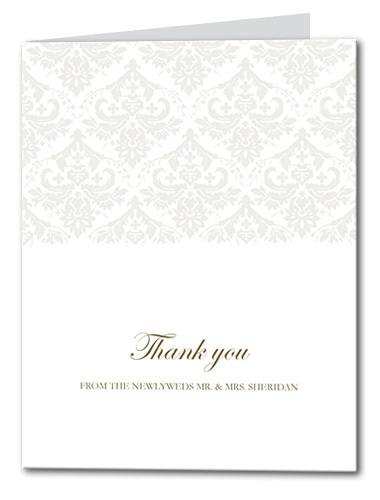 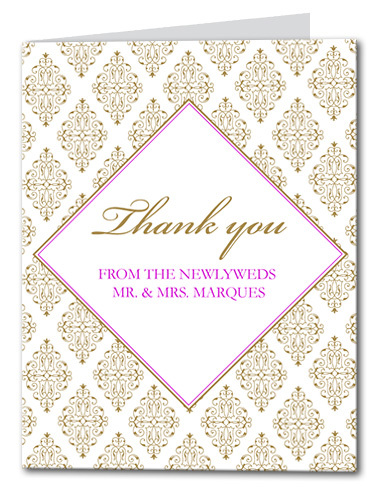 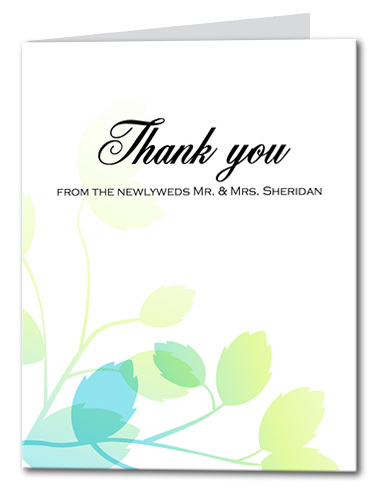 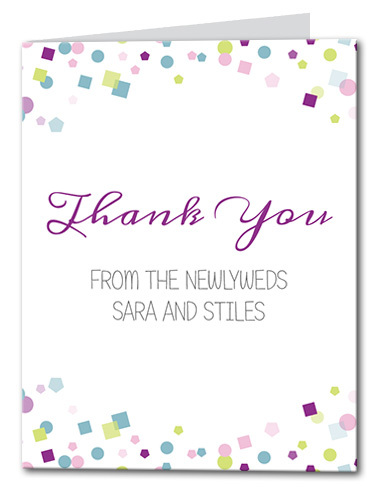 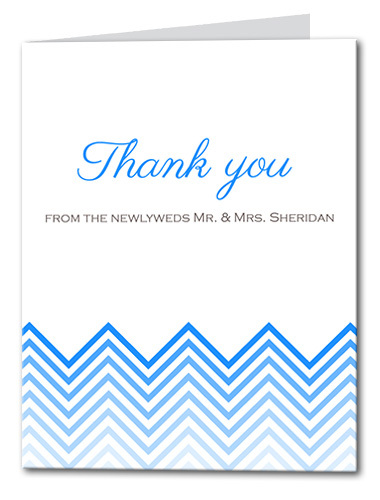 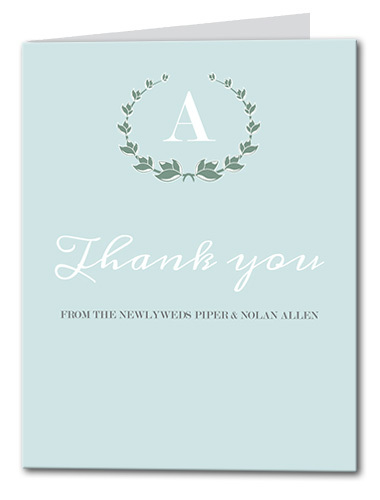 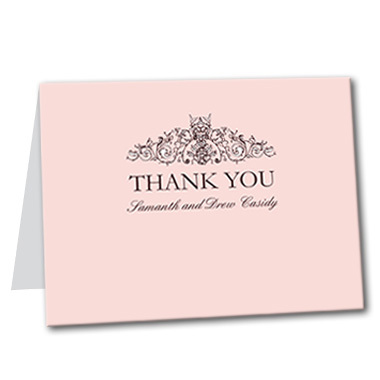 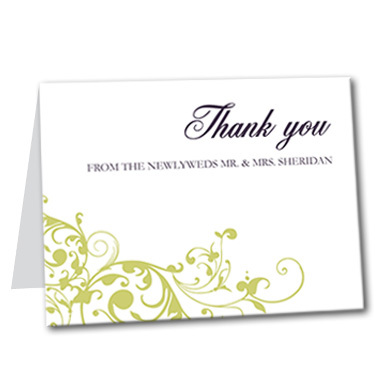 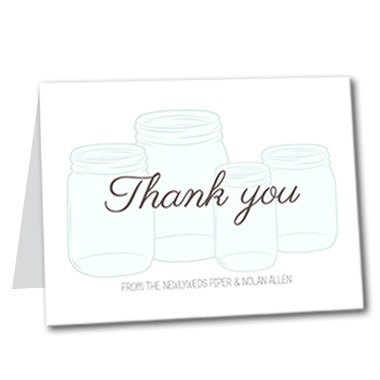 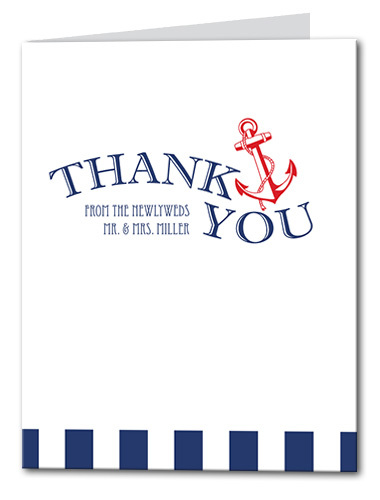 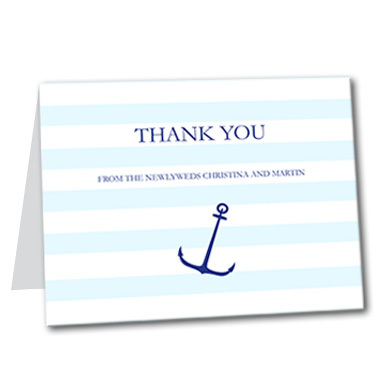 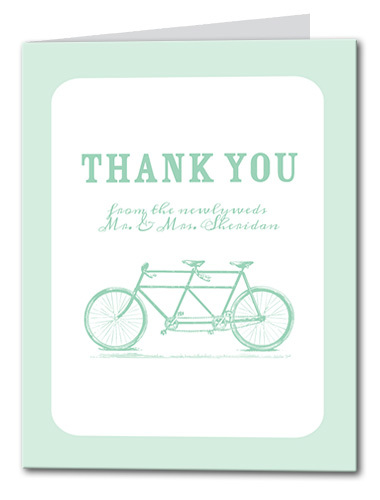 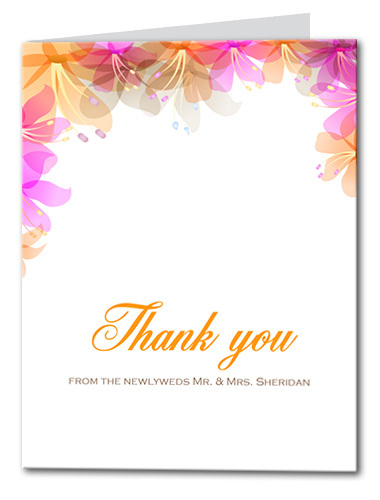 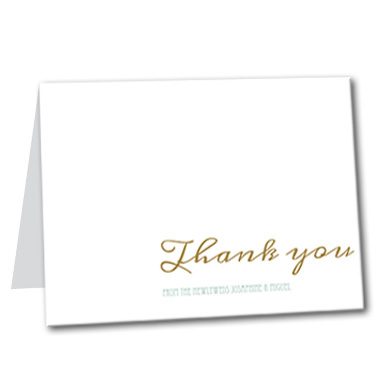 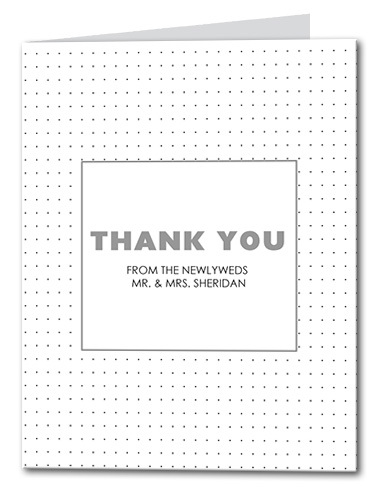 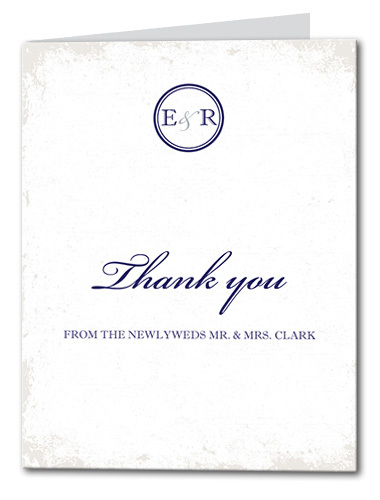 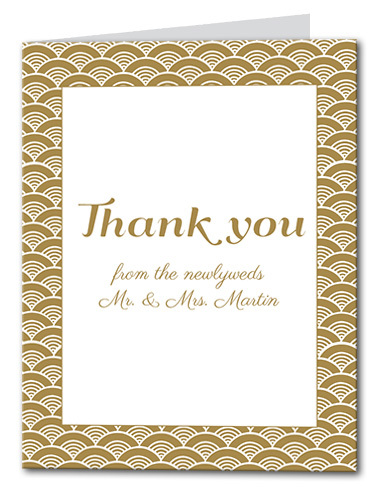 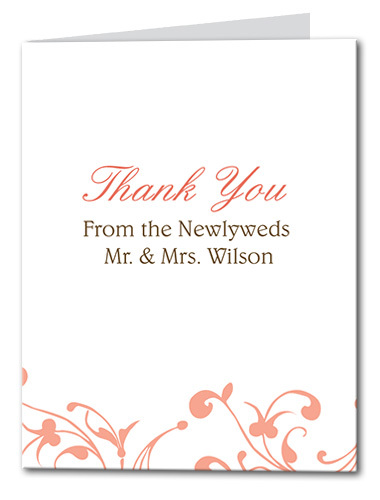 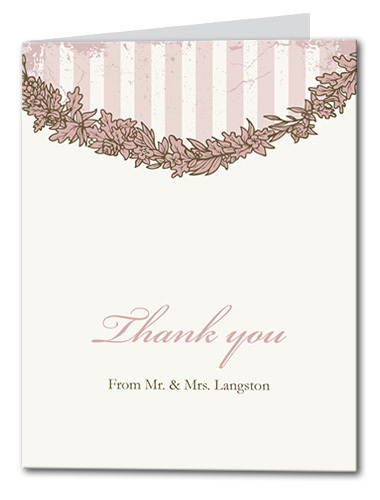 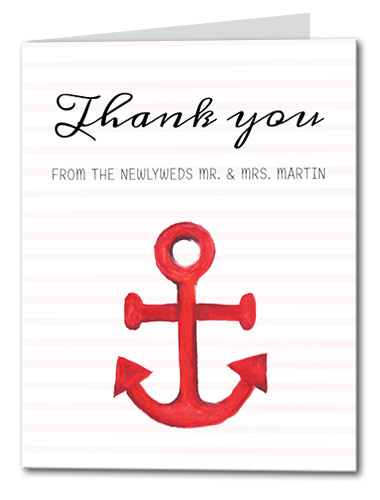 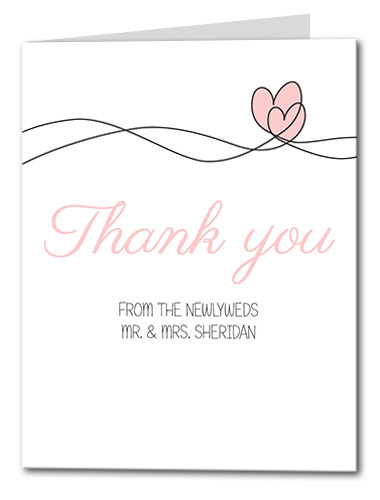 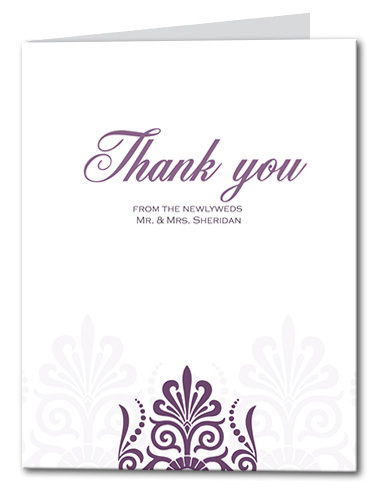 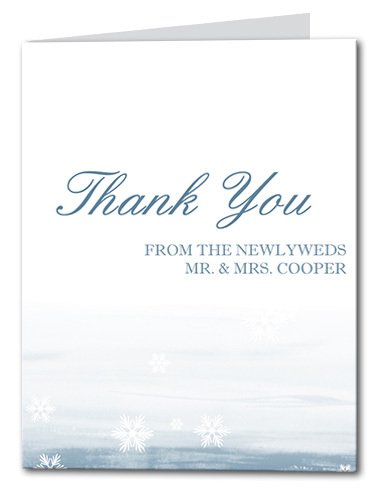 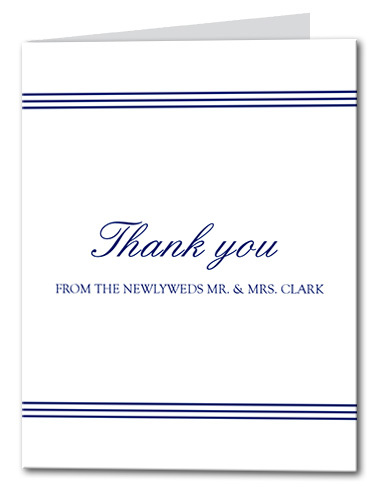 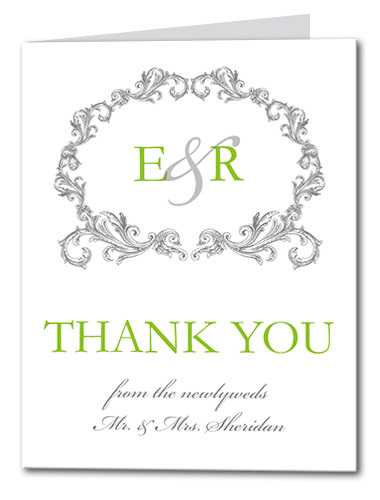 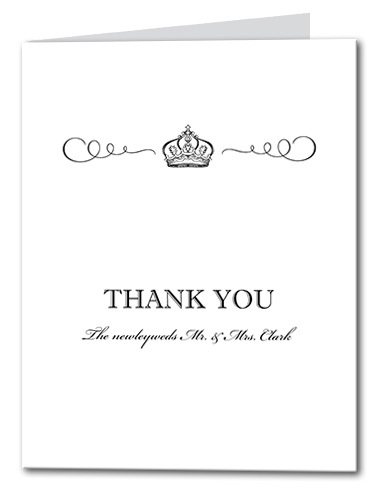 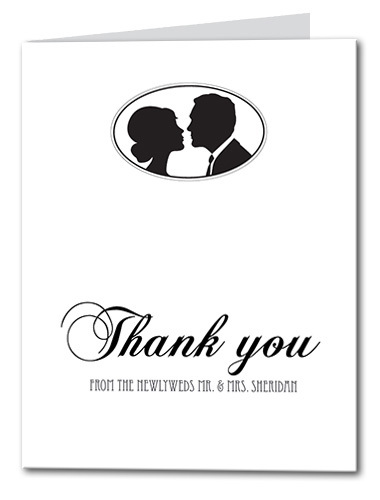 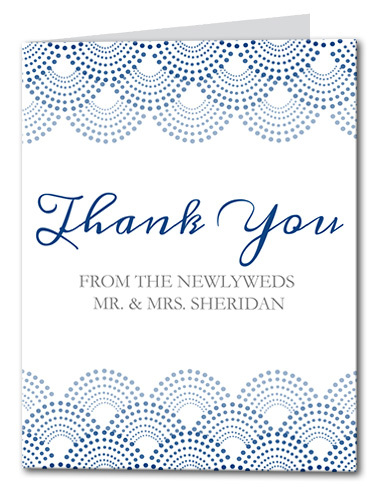 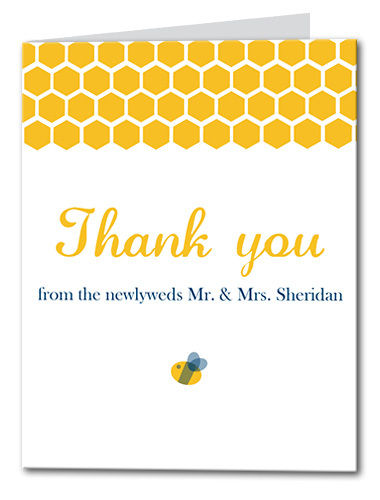 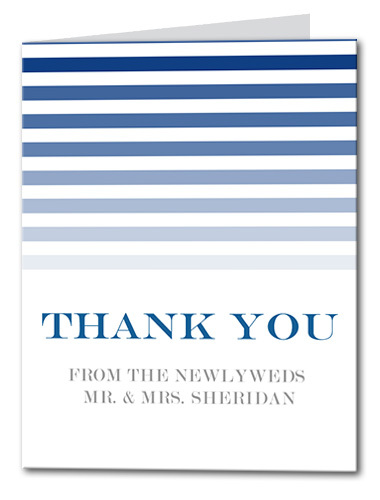 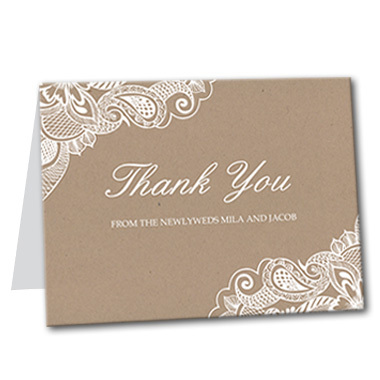 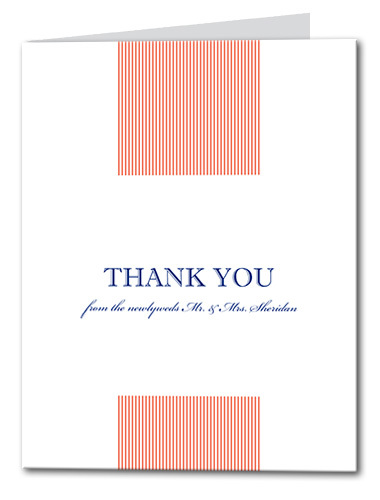 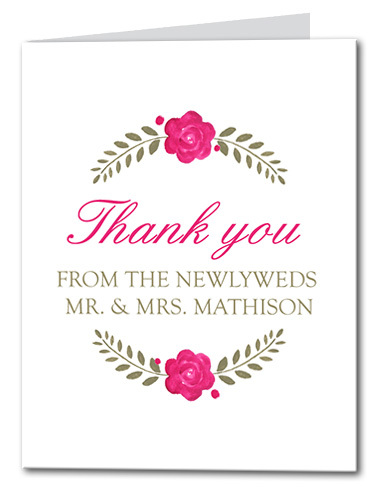 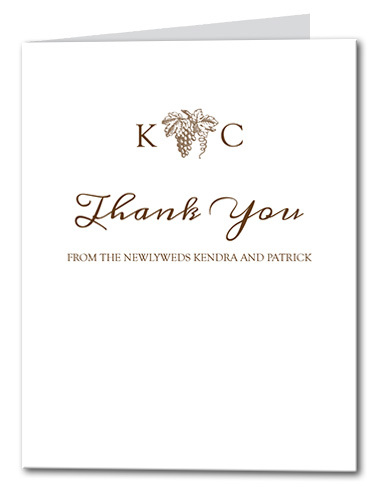 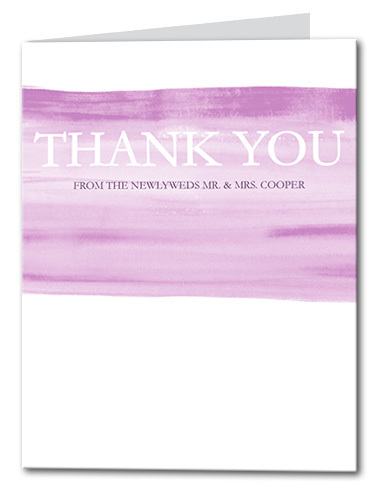 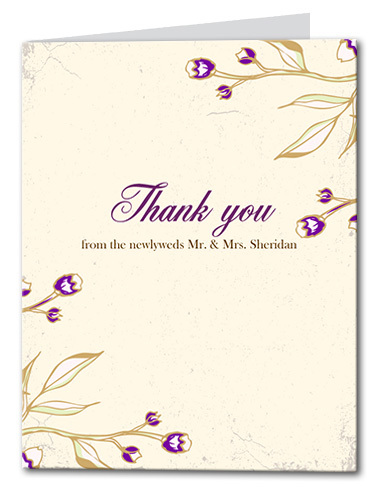 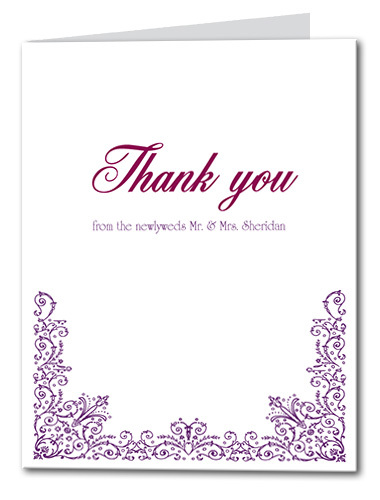 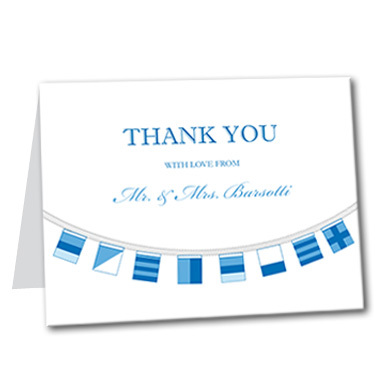 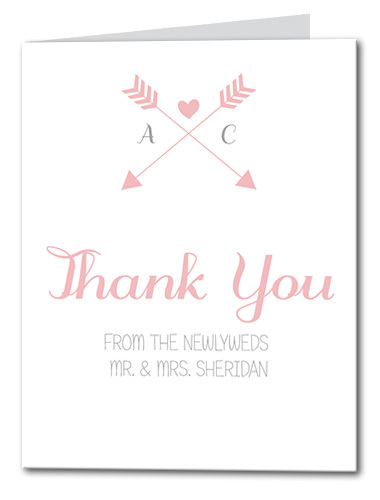 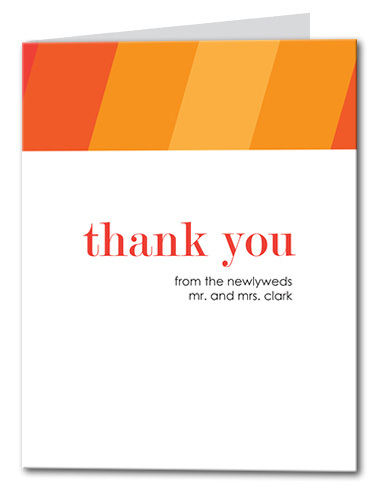 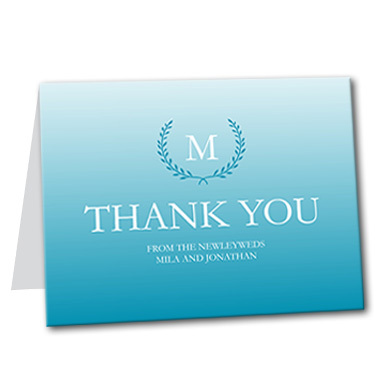 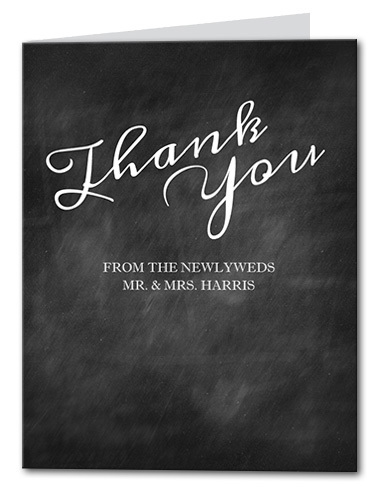 Let wedding and shower guests know you appreciate their generosity with one of these stylish thank you cards. 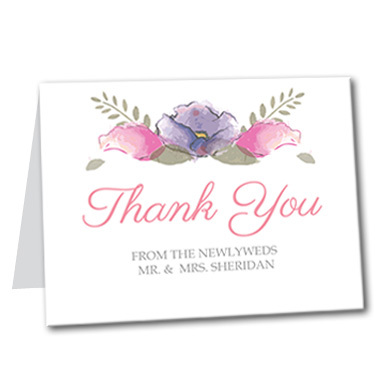 You'll find a huge assortment of themes, colors, and designs to coordinate with your wedding invitations, reception stationery, and save the date cards. 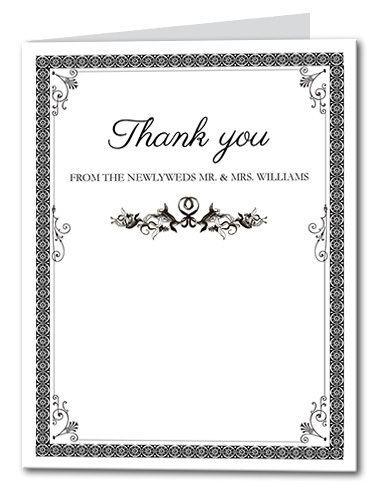 Choose from formal and elegant items in basic black and white, bright and cheerful floral or rose designs, or go with something more modern and bold. 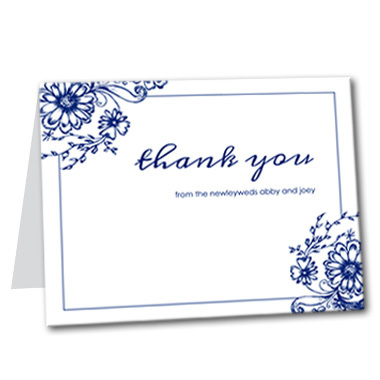 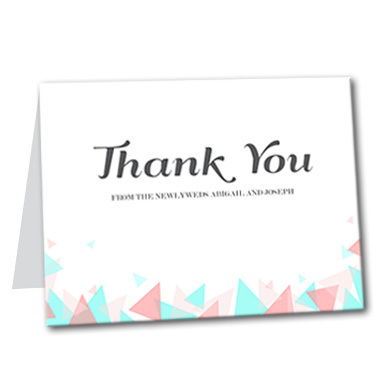 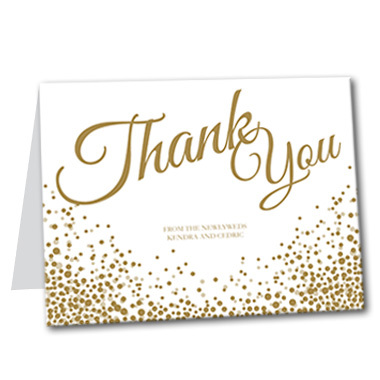 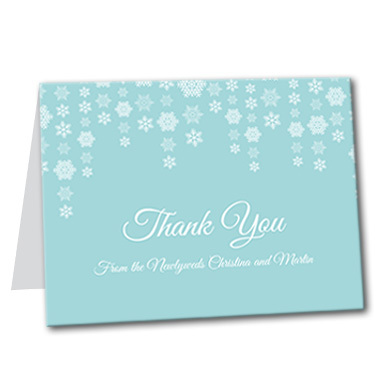 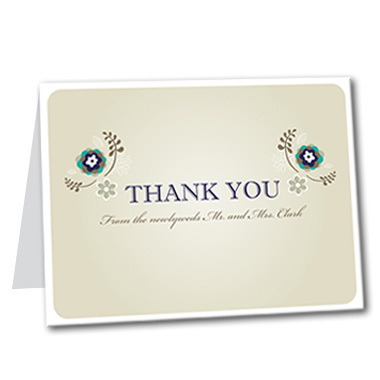 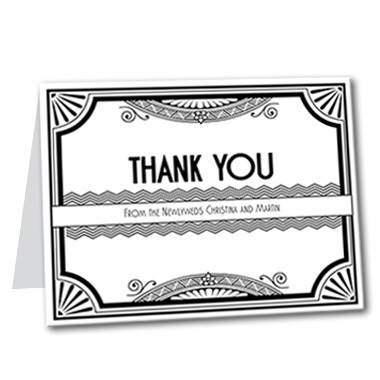 Whatever your personal style, you'll find thank you cards here to suit your tastes. 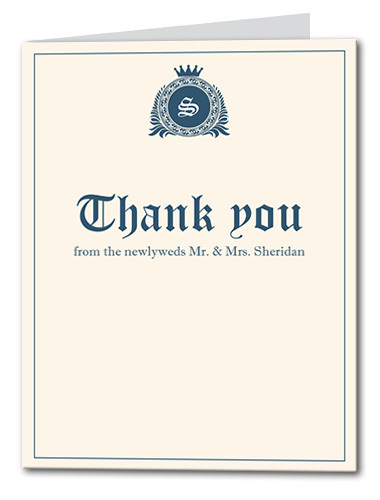 Personalize your selection with whatever wedding font and message and you choose using the simple online tool. 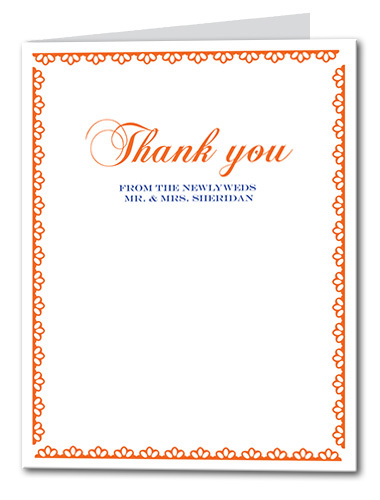 You can give thanks in style no matter what your budget.